Summer music festivals, baseball games, and days in the park with the kids are about to get a whole lot jollier. 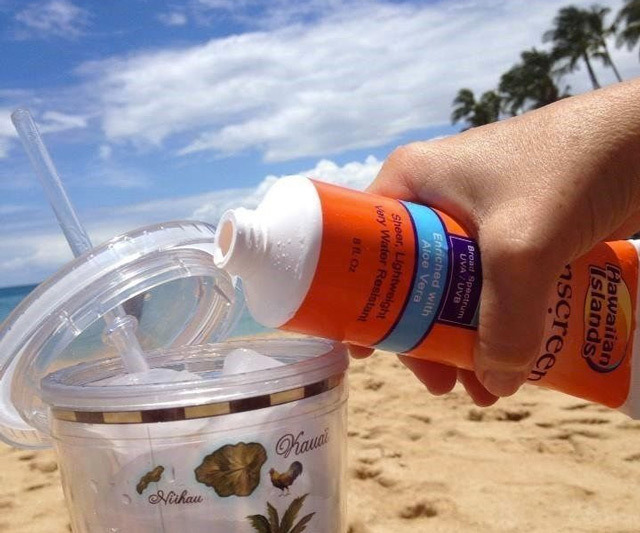 Instead of SPF 30, this innocuous bottle of responsible adult sunscreen contains room for 8 fl. oz. of ABV 40. 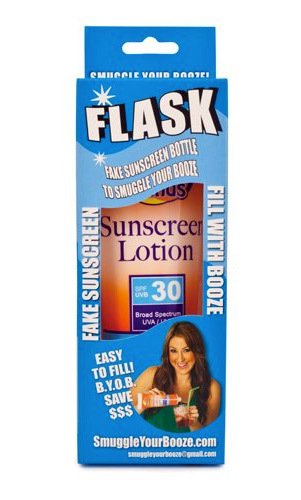 The Smuggle Your Booze sunscreen flask is easy to fill, no sweat to hide, and possibly the #1 way to stick it to The Man selling 12-ounce plastic cups of Bud Light for $8. 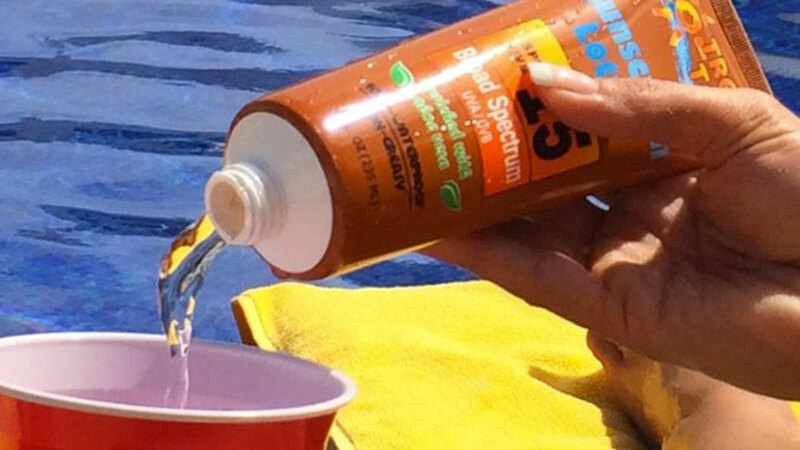 And if anyone asks why you're pouring sunscreen in your Coke, just give them a superior smile and tell them you're creating a UV ray barricade from the inside out. 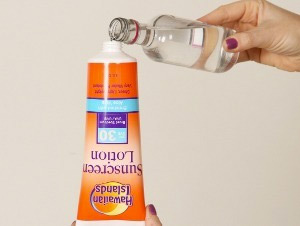 The Smuggle Your Booze ultra-covert sunscreen tube flask is made of food-grade plastic, and is ideal for the verboten possession of vodka, gin, whiskey, rum, and blackberry moonshine.